We used Picture to People for this sketch. Looks realistic, doesn't it? We then added the frame in PicMonkey. Oh, that one's really good, Athena! Yes, it does look realistic. Athena is so pretty. Wes Loves it! Athena is stunning! Love that sketch effect, just gorgeous! Happy Caturday Athena & Marie! 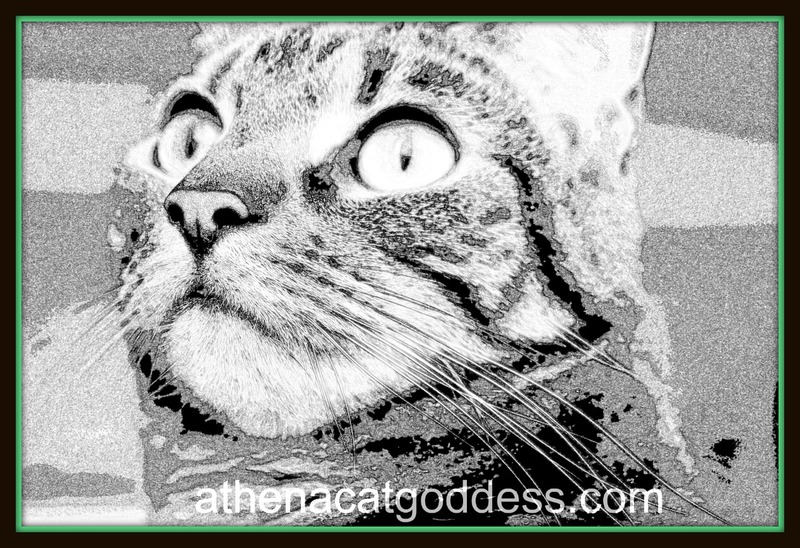 Athena you look very stylish in this art work! Somehow I see your art with a stamp frame. Nice. Nicely done. Thanks for your purrs for Lily. That is a great picture, Athena! that is completely exquisite!! I soooo love it! Munchkin and Amidala want to join the hop, but it says it's closed?